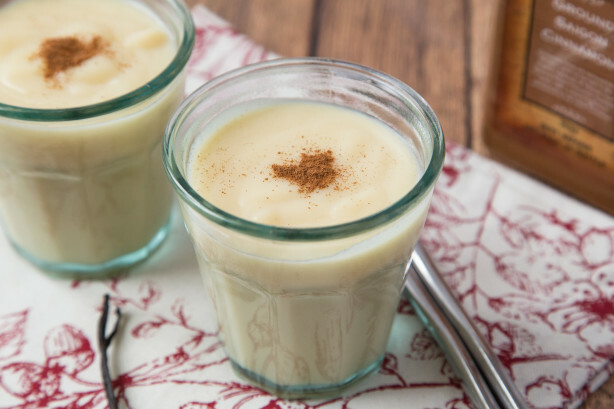 Custard brings fond memories of cooking with grandma. She topped this delicious custard with fresh fruit, sprinkles of cinnamon and nutmeg, and even chocolate chips. Have eggs ready in a bowl, and set aside where it will be within reach. Using a whisk, combine milk, sugar and cornstarch in a medium saucepan over medium heat on stovetop. Allow milk to scald (heat to the point when tiny bubbles form around edges of pan). Whisk occasionally to prevent cornstarch from clumping on bottom edges of pan. Remove milk mixture from heat, preferably to a burner that's turned off. Mix about 2 tablespoons of scalded milk mixture into eggs using whisk, then introduce eggs into milk mixture in a slow stream, whisking milk mixture constantly. Remove pan from heat and stir in vanilla. Is This Gadget Too Good To Be True? Fruit Salad Know-How: Tips for Perfection! Take Your Brownies from Eh To MMMM! How did Jack Cheese get its name? What was the first meal eaten on the Moon?